I wish I could say I have lots of old stuff, but alas, I have nearly nothing. I have my maternal grandfather’s old cigar box, and a silver makeup compact from my paternal great grandmother, but the most prize possession is now gone. For a while I had possession of my maternal grandmother’s sewing machine, but it was lost in a move years ago. 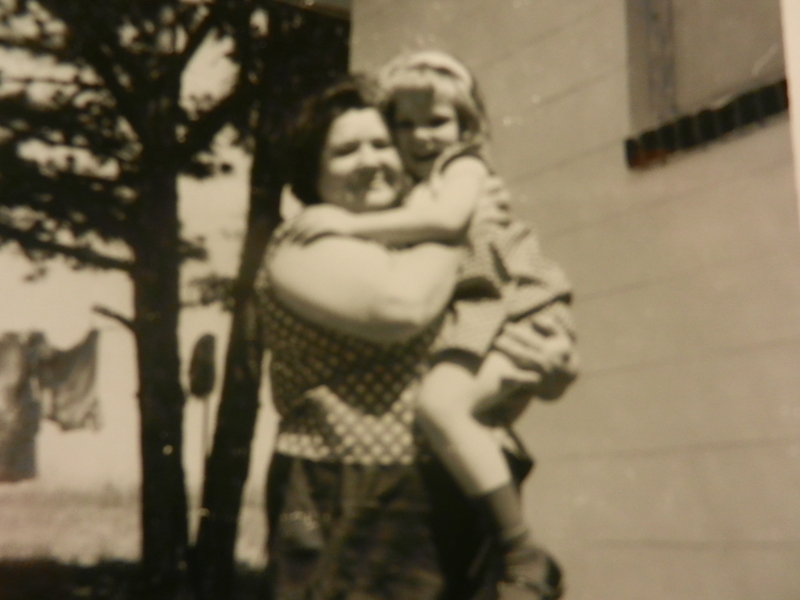 She was an amazing seamstress and worked for the Burnley Shirt Factory in Meridian, Mississippi. I’m certain she’s in this Burnley employee picture taken in 1939, but it’s so small, I haven’t been able to find her. I don’t even know that I could even recognize her in a picture from 1939. She died at the age of 59 in 1975 and is still greatly missed. This is her, holding me. Services for Mrs. Ina Inez Culpepper, 60, were to be held at 10 a.m. today at Stephens Funeral Home Chapel, Revs. Roger Leggert and Charles Davis officiating. 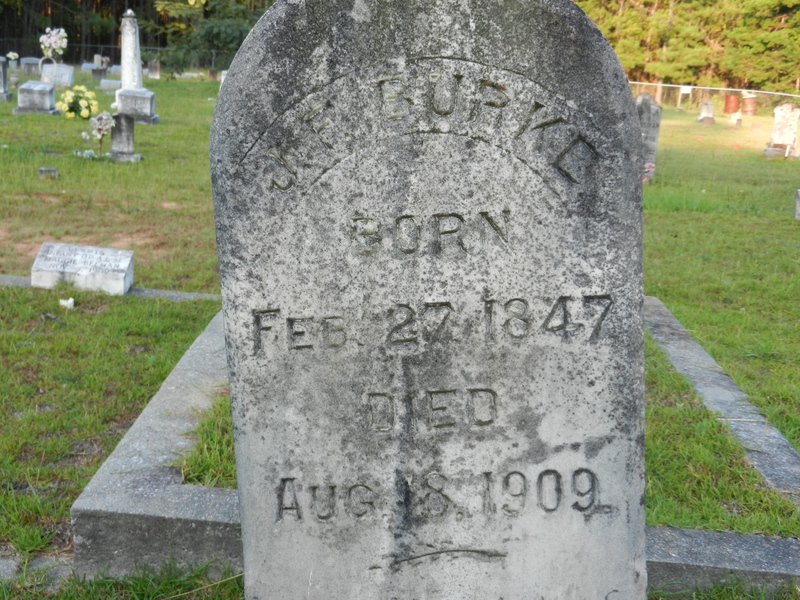 Burial was to be in Liberty Cemetery, Newton County. 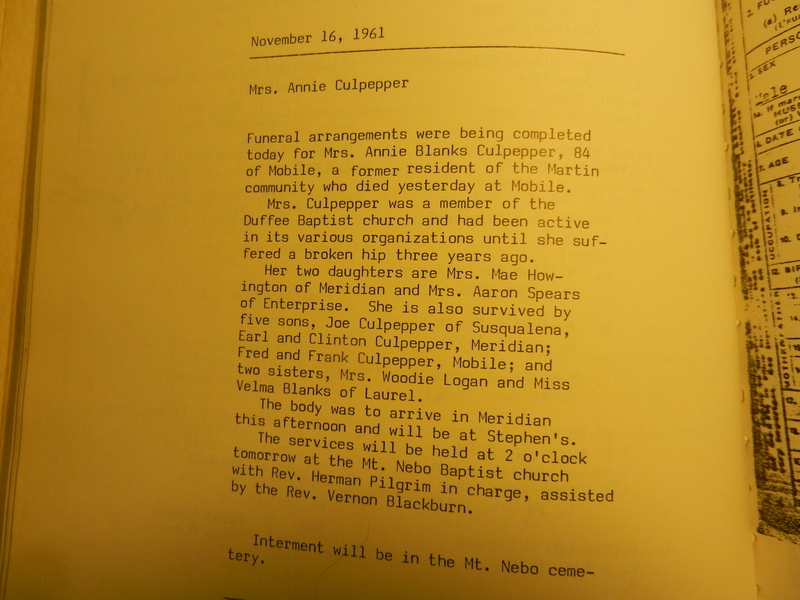 Mrs. Culpepper died Saturday in a Meridian hospital. She was a member of First Pentecostal Holiness Church. 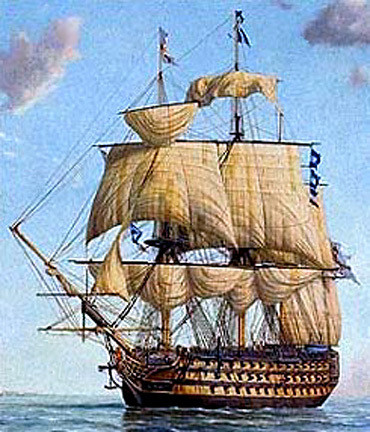 Survivors include her husband, Earl W. Culpepper, Meridian; two daughters, Mrs. Bobbie McQueen, Meehan, Mrs. Linda Hegwood, Utica, Mich.; two sisters, Mrs. Ellen Scarbrough, Houston, Tex., Mrs. Myrnis Howard, Meridian; three brothers, Willam Otho Burke, James Otis Burke, and E. O. Burke, all of Duffee, and four grandchildren. Ina was my maternal grandmother. 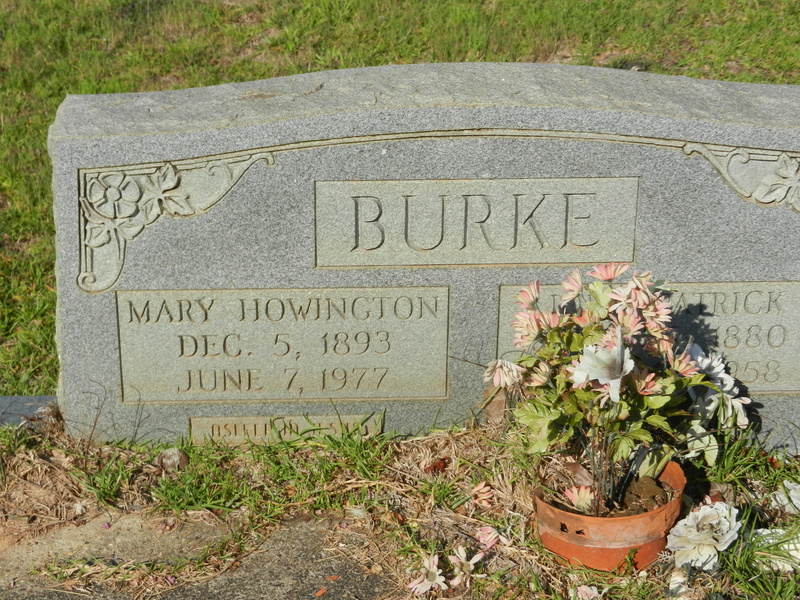 She was born in 1915 to Mary Elizabeth Howington and John Patrick “Pat” Burke. Her Howington side was English and Choctaw Indian. 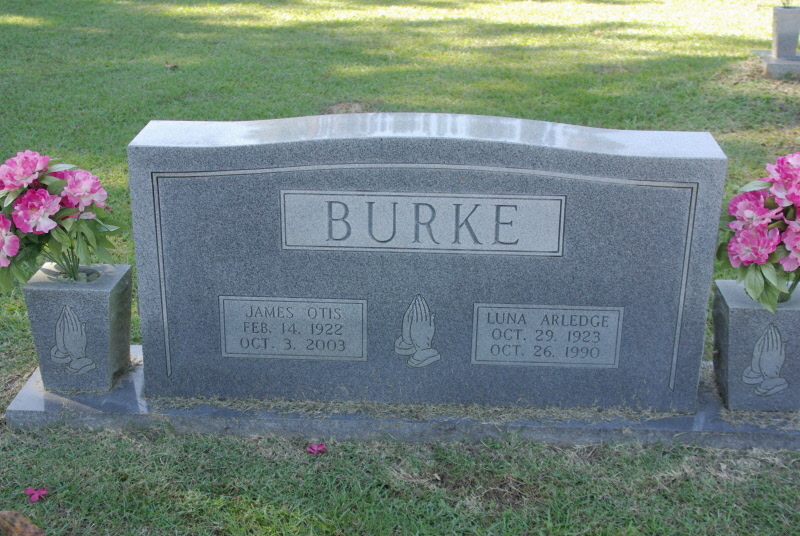 Her Burke side was English and Irish. She was the eldest, with four little brothers and two little sisters. One of the boys died as an infant, but the rest of her siblings outlived her and are listed in her obituary. 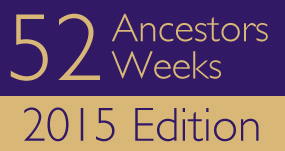 Her mother also outlived her by two years, but for some reason, is not listed. We always celebrated her birthday on February 9. 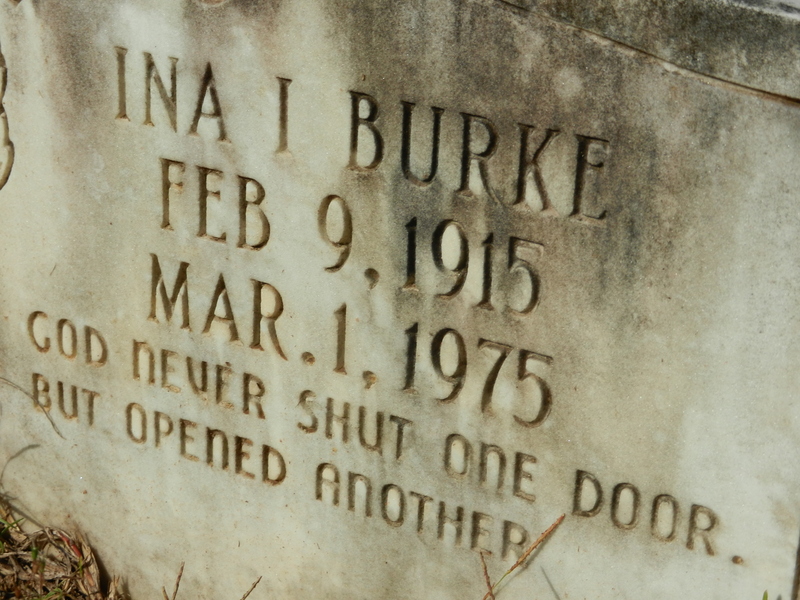 Her tombstone says February 9. Her death certificate says February 9. Her birth certificate says February 8. It was signed on February 8. It was filed in the state of MS on February 8. 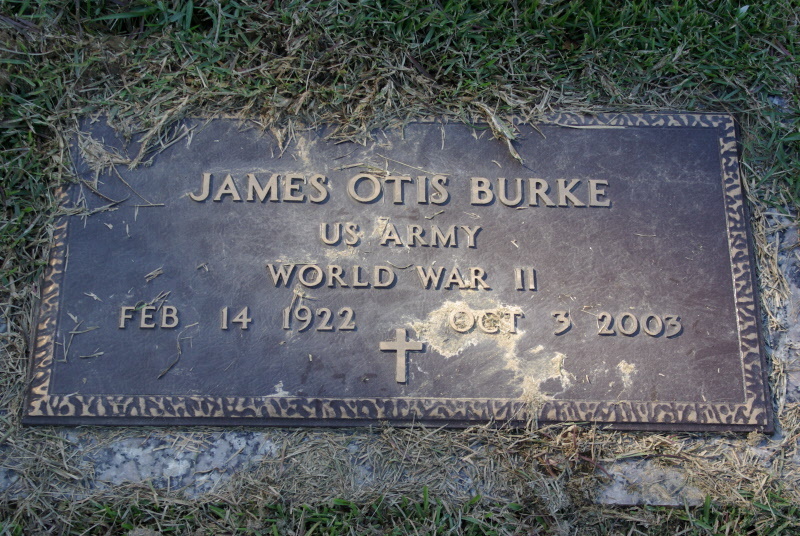 There is no ancestor in my tree who made such a dramatic effort at a fresh start as John Francis Burke. He was born in Dublin on February 27, 1847 in the middle of the potato blight in Ireland. One million people died of starvation and another million left the country. One can imagine how the family struggled. Not much is known about his parents or his childhood, but a family member told me his sibling had the same names as his children, so I expect there was a Patrick, Robert, Emmett, Nina, Virginia, Kathleen, David, and/or an Edmond somewhere in the bunch, and if I ever venture to Dublin, I should be able to find family records. When John was a young lad of 15, he snuck down to the shipyard and stowed away on an American-bound ship. After they set sail, the captain found him en route and told him the ship couldn’t take him back home. He replied to the captain, “If I wanted to go home, I wouldn’t have stowed away.” We don’t know the relationship or lack of one he had with his parents, but we can imagine a mother searching for her fifteen-year-old son and being heartbroken. I don’t know if he ever contacted his family after leaving Dublin. The ship dropped him off in Miami, Florida in 1862. Yes, 1862, during the middle of the Civil War. Confederate War Records show a couple men with similar names that could be him serving in Florida, Alabama, and Mississippi. The 1870 census shows a couple names that could be him: one in Florida and one in Alabama. He finally shows up in the 1880 census as being a “ditcher” and living with his new in-laws, the Spencer family. On December 10, 1879, at the age of 32, he married Nancy Didama Spencer in Lauderdale County, Mississippi. 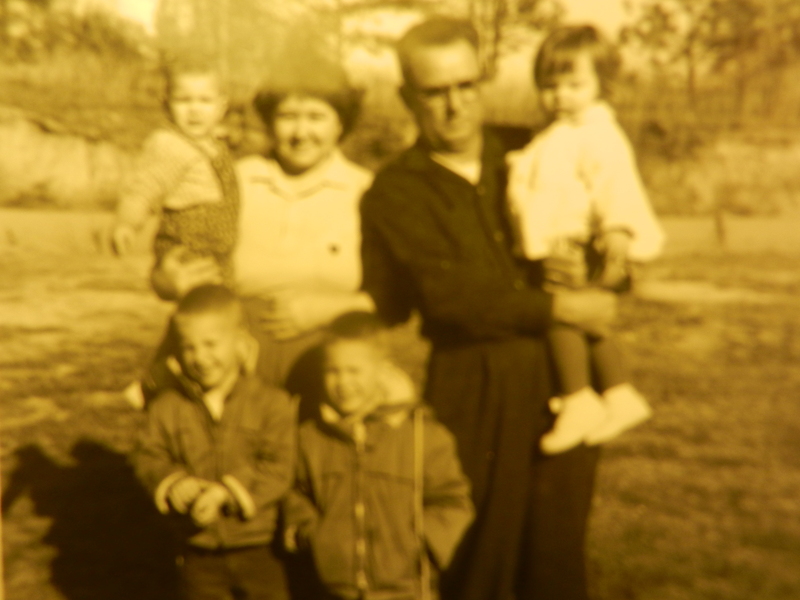 Over the next fourteen years, they had six children: John Patrick, Robert Emmett, George Washington, Nina Virginia, Kathlene L, and David Edmond. After John’s death August 18, 1909, the 1910 census shows Nancy as a widow with five children still at home. John is laid to rest at Liberty Baptist Church Cemetery in Duffee, Mississippi, among children and grandchildren. 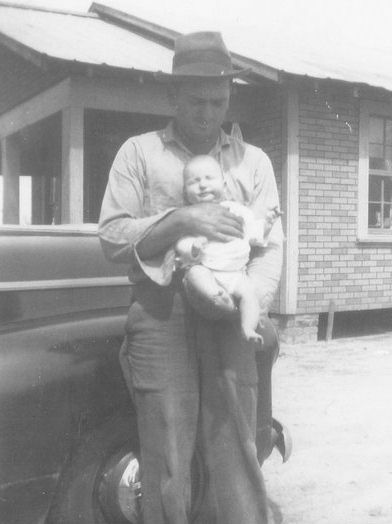 His son John Patrick “Pat” (my great grandfather) was a fiddle player on the weekends at barn dances. I wonder if Pat learned to play from his father. Playing the fiddle is such an Irish thing to do, don’t you think?